In-Memory Databases: Is it Time for Businesses to Shift from Disk Storage? The old database system was majorly characterized by disk storage and relational databases. Over the years, this industry has undergone an intensive revolution, eventually ushering in the now popular in-memory database. Database developers have spent a lot of time optimising the existing databases, developing designs and designing models capable of providing sustainable solutions to the ever-increasing computing technicalities. This led to the birth of latest-generation in-memory databases that have become the standard database solutions. Currently, Microsoft, Oracle, and IBM are struggling to be the leading in-memory technology providers. Faster access speeds – databases that capitalise on in-memory processing are known to deliver fast and reliable retrieval speeds of data. It is up to 10,000 times faster to access data from these databases compared to the traditional systems. For companies handling huge online transactions daily, there couldn’t be any better news than this. Real-time data analysis – this ensures real-time reporting and therefore enhanced decision-making process. Synchronises faster with business intelligence tools compared to the traditional databases – this speeds up necessary implementation periods. Cost-effective since in-memory databases take advantage of the main memory of the server. Is it something for everyone? Despite the obvious benefits that come along with use of in-memory databases, some entrepreneurs still feel reluctant to embrace this technology. What could be the reason? Over the years, some entrepreneurs have been made to believe that in-memory databases only work for large enterprises. Could this be true or just another false belief? Consider the case of Bwin.party, an online gaming platform. Initially, it was able to support only 12,000 bets per second. With an in-memory system, it can now support placements of up to 150,000 bets every second. That means more money for the company and great efficiency. Edgenet on the other hand, a retail company, used this technology to enhance product availability to various customers, therefore reducing delivery trips. That also resulted in higher customer satisfaction rates. Consider the story of ConAgra, a company thriving on the supply of billions of consumer-packaged goods. They use over 4,000 raw materials in making more than 20,000 products. There is need to respond to any slight change in any of the raw materials used. In addition, the company can benefit significantly if it can manage to make its promotions timely due to enhanced analysis. In case there is a problem affecting any of the raw materials suppliers, the company should be able to know in time and source for alternatives or optimise its productions based on matters arising. However, a business cannot make quick responses when it has to wait for overnight data loads to capture essential statistics. Entrepreneurs are not able to get important information in good time in order to tie them to different pricing possibilities at rates that optimise profits. Even the most experienced dba consultant using a traditional database system will find it tasking to solve ConAgra’s puzzle. To solve the needs of ConAgra, something beyond the normal database is necessary. Could SAP be the Long-Awaited Solution? A closer analysis of SAP seems to promise a radical, simplified solution to this case. While other big players in the industry like IBM, Microsoft, and Oracle promise reliable in-memory capabilities, SAP seems to offer more to ConAgra. It carries with it the promise of eliminating layers of unnecessary data management infrastructure. Today, SAP is more than just a database management system. It is a full package with an analytics system and application server alongside other data management essentials, all which combine to form the SAP Hana Platform. SAP promises faster performance for applications. Even more, it comes with the promise of delivering all this in an interruption-free environment. That way, clients will not have to worry about inconveniences or unnecessary replacements. But that‘s not all. This in-memory database also raises the hopes of developing new applications for solving arising problems associated with profitability analysis and real-time pricing, as evident in the case of ConAgra. What SAP Hana promises is just a tip of the iceberg of the benefits that in-memory databases come with. With these being just some of the areas in which in-memory databases are applicable, there are more reasons to smile for entrepreneurs who are out to exploit this technology. The truth is, this technology comes with multiple benefits beyond what meets the eyes. For businesses that still rely on traditional database systems, you can admit that accessing data from such databases takes a lot of time. Let us consider an online store business, for instance. With traditional databases, it is hardly possible to supply customers with real-time information on products they might like while shopping. The total time necessary to access and process such information makes it nearly impossible to provide real-time data. Software is treading down a desirable path, enhancing performance while minimizing complexity. 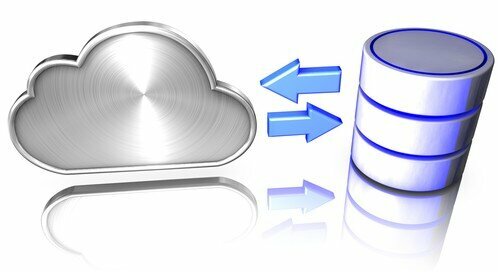 It is no longer a debatable topic that in-memory database performance beats disk-based storage. Everyone knows the better option although resistance to change is a reality. In the next couple of years, in-memory databases are going to replace disk storage options, not just supplement them. For entrepreneurs that are just setting foot into businesses that involve heavy online transactions, investing in this type of database is a worthy course. Sujain Thomas is a reputable DBA expert who has been offering remote DBA services for many years. She can offer quality advice regarding cloud computing. To learn more about the author, please visit her blog here. How Can Data Science Help in Spying Your Competitors’ Moves?